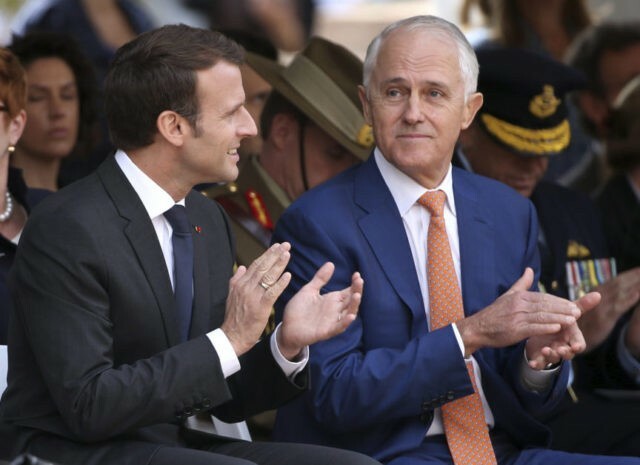 CANBERRA, Australia (AP) — Australia’s prime minister said on Thursday his wife was “flattered and charmed” to be described by President Emmanuel Macron as “delicious,” a compliment that has sparked lighthearted conjecture during the French leader’s first official visit Down Under. Sydney’s best-selling newspaper, The Daily Telegraph, reported the comment on its front page on Thursday under the headline “President Pepe Le Pew,” likening Macron to the Warner Bros. love-sick French skunk cartoon character. Associated Press writer Trevor Marshallsea in Sydney contributed to this report.